Alliance A6t has features like remote toggle switches and EKG pulse grip monitoring. Like models A5t and A7t, Alliance Treadmill A6t includes a two-speed workout fan mounted on the console to keep you cool. This Treadmill is fold-able and is shock proof which is safer and easy to store. It runs with a 2.5 HP motor whose maximum speed is 10 mph and has a weight capacity of 350 lbs. 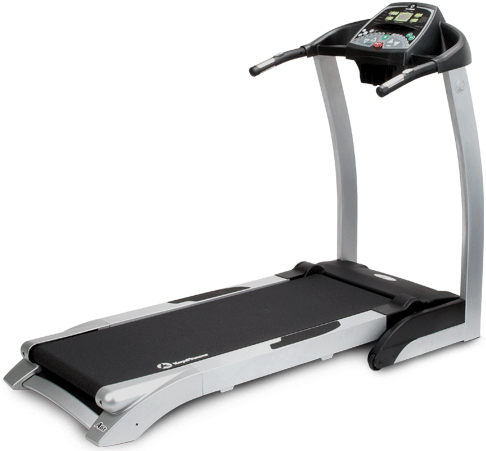 The latest cost of Alliance A6t Treadmill will be updated soon. *Note: Most of the sites, stores or shopping portals listed above sell Alliance A6t Treadmill with discounts and other exciting offers. There is a possibility that the some of above websites are not selling Alliance A6t Treadmill now. Toughtrain.com is not liable for such cases or instances. Also we do not recommend any seller for Alliance A6t Treadmill and a buyer should buy from where he/she gets best deal with quality of products, service and on time delivery (shipment).